Here, I will try to lay out what a typical encounter between two enemies might look like. I’ll try to cover most of the complexities of combat including: melee combat, magecraft, magecraft combat, Noble Phantasms, and saving throws. There's a lot in there, so hopefully this is not TOO hard to understand. Just remember that you, the player, only have to worry about what actions you're taking. I, the GM, will take care of the results of those actions and changes to stats. Lancer and his Master are staying in Miyama’s northern district, and decide to seek out another Servant. They search for mana signatures, and the GM says the nearest one is to the east, across the Mion River. They cross into Shinto and search again, and the GM says the Servant is in downtown Shinto. A third search reveals their exact location. Lancer’s stats are almost all superior to Saber’s leaving her at a heavy disadvantage. The two start out sparring somewhat casually, which the players can do just through roleplaying. But then Lancer decides to get serious and do some heavy damage, and we start doing CLASHES. Saber has a higher Agility than Lancer, so Saber goes first every turn. GM: Lancer deals 40 damage. At this point, Saber’s Master starts to cast a Healing Spell on Saber to restore her HP, ordering Saber to stay on the defensive. Saber’s Master: Starts D-rank healing spell (one-line). First line of spell. Saber obeys her Master and skips her attack. During this turn, Saber’s Master finishes her spell. Lancer starts the CLASH again. Saber's Master: Heals Saber for 20 damage. Saber’s HP is at 180/200. Saber decides to go against her Master’s orders and resumes attacking. GM: Saber deals 20 damage. Lancer’s HP is at 380/400. GM: Saber’s attack breaks through and deals 20 damage. Lancer’s HP is at 360/400. 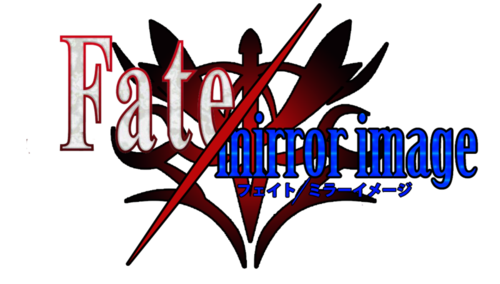 Now, Lancer’s Master analyzes Saber and discovers she has low Magic Resistance, leaving her vulnerable to magecraft. He decides to cast an attack toward Saber. Lancer’s Master: Starts B-rank attack spell (five-line). First line of spell. Saber goes back to defending, skipping her chance to attack. GM: Lancer’s attack breaks through, dealing 40 damage. Saber’s HP is at 120/200. Saber’s Master notices the other Master starting to attack Saber, and decides to interrupt him with a E-rank spell. Lancer’s Master aborts his attack spell and starts a E-rank spell to counter it. S Master’s attack beats the counterspell, burning L Master badly. His HP is 30/40. Lancer decides to finish the fight. He unleashes his Noble Phantasm, GAE BOLG, against Saber. It’s effect is to instantly strike the heart of the target, killing them with no chance to dodge or defend. SABER has no choice but to make a saving throw to try and avoid it. Saber’s Luck is A, a value of 50. The saving throw rolls a 35, a success! The spear does not pierce her heart directly, but still leaves a massive wound, dealing 80 damage and leaving Saber with 40/200 HP. Lancer also expended 80 MP using his NP, leaving him at 420/500 MP. Saber’s Master orders her to retreat. Saber returns to her Spiritual Body instantly, vanishing from the battlefield. Saber’s Master casts a quick E-rank spell to mask his retreat. The battle is over. Later, Saber's Master can research Lancer's Noble Phantasm, Gae Bolg, and deduce his true identity, Cú Chulainn of Irish folklore. She may be able to work out a strategy to give her an advantage in future battles.